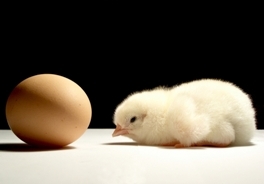 The question has always been which comes first the chicken or the egg? In advertising the question has always been….. Which comes first the message or the media plan? It’s very close call! But it really doesn’t matter how good your message is if the media plan is poor. Imagine being all dressed up but never leaving your house. No one ever sees you. 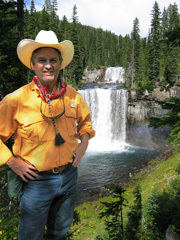 For the last 20 years I have been teaching and preaching Frequency as the key to RV Advertising. Frequency is the number of times a given individual sees your ad. Frequency is what drives home your offer to the consumer. Most research agrees that an active prospect needs to see your ad 3 to 4 times for it to connect. Don’t fall into the reach trap. Reaching a big audience is ideal but don’t sacrifice frequency. Your job as an advertising manager for your dealership should be to get the most reach with the proper amount of frequency. But the one un-negotiable is frequency. Choose to talk to 10 people 10 times rather than 100 people once. Try this the next time you’re at a party if you don’t believe me. Meet 10 new people and spend a lot of time with them and when the party is over those 10 people will know your name. If you spend your time going around and introducing yourself to every one at the party, you’ll find very few people remember your name at the end of the night. It is all about finding the right mix of cost and frequency. This is exactly why I am such a big believer in Lifestyle Media Buying. It allows you to target the right audience with more spots and for less money. Here are some thoughts to take with you. A cheap spot that doesn’t connect with your prospect is actually very expensive. Because you and your spouse watch a given show doesn’t mean it’s the right show. Don’t let the DEAL DRUG lead you to a bad media plan. Frequency is king targeted at the right audience! So look for the unique opportunities that can offer you controlled frequency and reach. Cable Television has been a mystery to RV Advertising agencies and dealers since its inception. It’s my guess many TV have been crushed in frustration! Rarely have dealers seen positive results and have conclude that the audience dynamics of cable are not conducive to a short-term retail strategies. The Fact is perception and reality don’t match up. 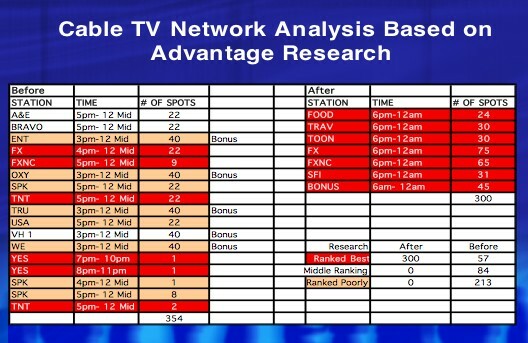 It’s not that the cable audience is elusive, it’s that most dealer’s cable buys are 75% off target. How can this be? It’s simple, the networks being chosen and bought for the wrong reasons. So the perception is cable doesn’t work. But, the reality is the tool is being used improperly. Your customers have a unique lifestyle pattern. Demographics simply don’t allow you to target your customers and people who look like them. Lifestyle buying is based on the simple truth that birds of a feather flock together. Talk to your birds with frequency and the hunt will be much more rewarding. The fact is that most dealerships are influenced by the media rep or their own perception of stations. It’s this subject approach that leads to wasted ad dollars. The lifestyle of your customers will drive their viewing habits. Why leave this up to guessing when you can do a simple lifestyle study that begins with your customer base. The above example is unfortunately all too common. With over 30 such studies behind me the results speak for themselves. People buy RV’s for many reasons. The overwhelming reason is they have the same lifestyle. 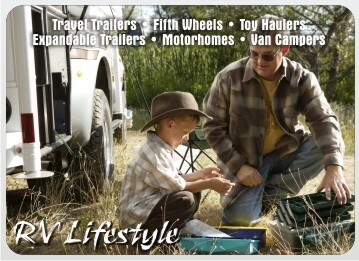 Lifestyle marketing is the most under used tool in RV Advertising. Clearly, no one has taken the time to explain to you how today’s technology, the access to data and reduction of costs can provide you the opportunity to improve your advertising through lifestyle marketing. Back in the good ole days you had only 6 broadcast television stations and you could buy enough TV to saturate the market. Today trying to saturation your market is very difficult because there are hundreds of media outlets. Yet the media continues to present analysis from the same boring demographic position. You know what I mean, one size fits all. Demographic of adults 25-54 will match about every product being sold today. So what come into play next is peoples opinion. This input into media selection usually provides for an interesting and usually poor outcome. I know many of you have fallen into this trap! So why hasn’t the media taken lifestyle marketing to the market? Well the short answer is they haven’t had to. You haven’t required them to act any different. The one size fits all demographic presentation works for any type of business so it doesn’t focus on the lifestyle of your customers. Lifestyle marketing begins and ends with the people who have bought from you. You have in your data base the perfect picture of the people most likely to do business with you. Their profile can be matched household by household to provide you with an audience of clones. If you want to drive more dealership traffic then simply talk to the people most likely to do business with you. The ROI for demographic buying gets more difficult every year. Given a choice to drive more dealership traffic without spending more money is a no brainer. Lifestyle media buying can be implemented quickly. Why wait? Your burning dollars if you don’t! 30% Improvement! Go getter done. You are currently browsing the archives for the lifestyle marketing category.